It’s that time of year! 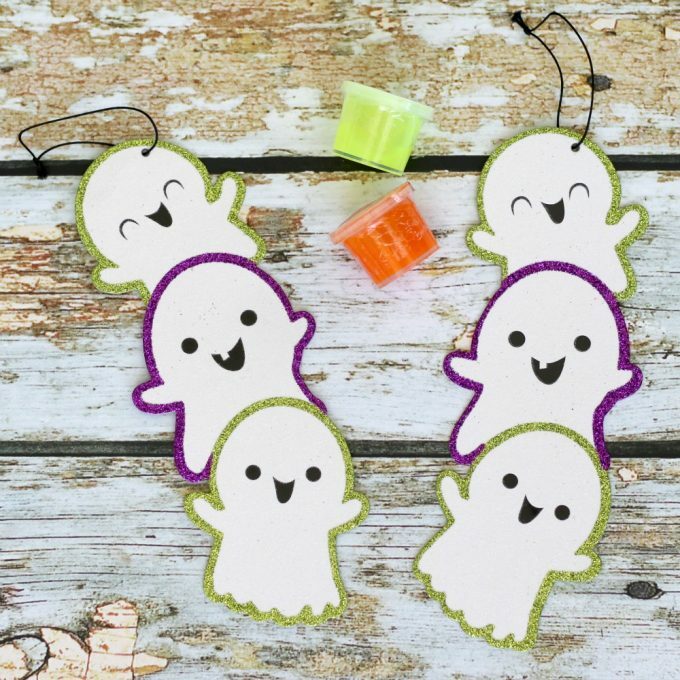 Halloween is almost here and it’s time to start working on those BOO kits! If you’ve never BOOed anyone, here’s how it’s done. You make a BOO bundle or kit, secretly deliver it and then that person gets to BOO It Forward to someone else. You can BOO a friend, neighbor, coworker, teacher, or anybody else that you think deserves it. Who doesn’t love getting a nice surprise now and then? 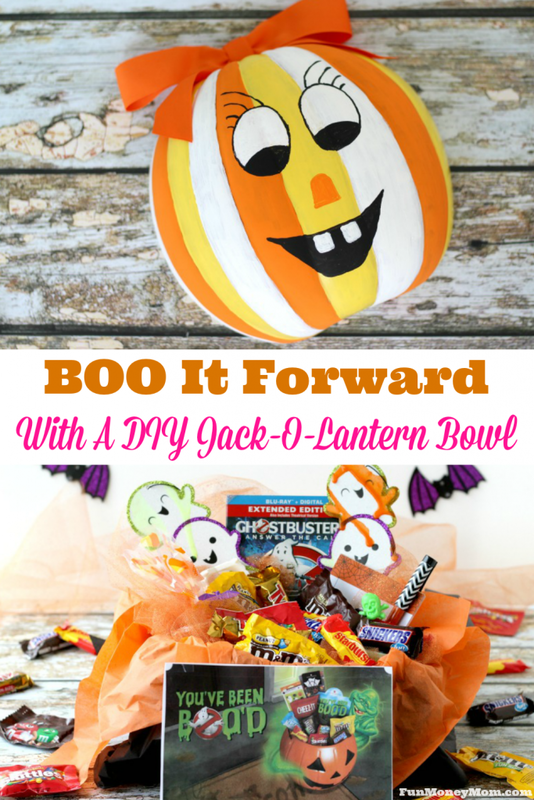 It’s so easy because you can find everything you need on the Walmart.com BOO It Forward page. 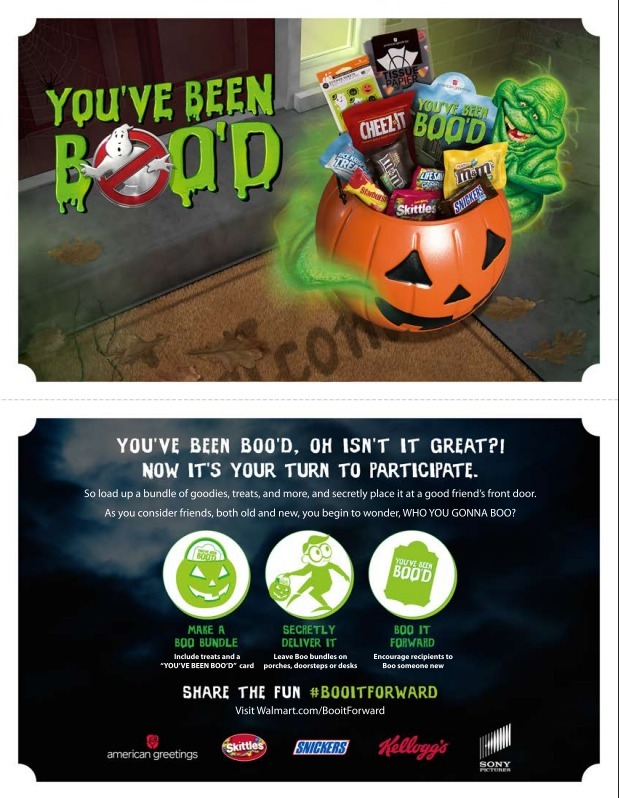 Even better, enter the BOO It Forward Sweepstakes for a chance to win a $500 gift card. I don’t know about you but that would make my holiday shopping a lot more exciting! 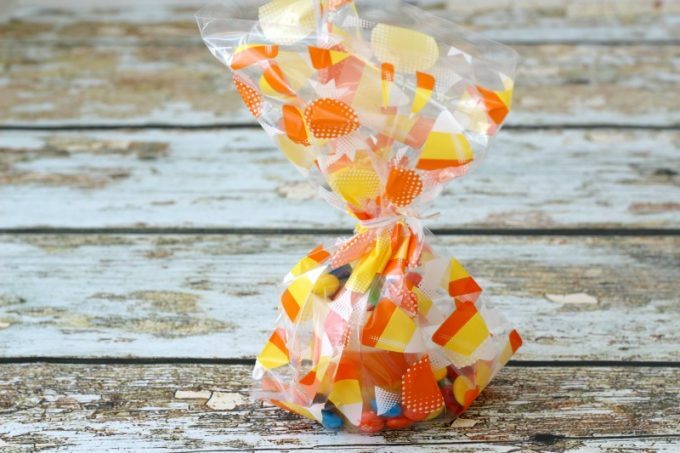 If you’re doing this for the first time, you should know that the most important part of any BOO kit is the candy…it is Halloween after all. I’m not talking about the cheap, hard candy that ends up getting tossed after three months in the pantry. 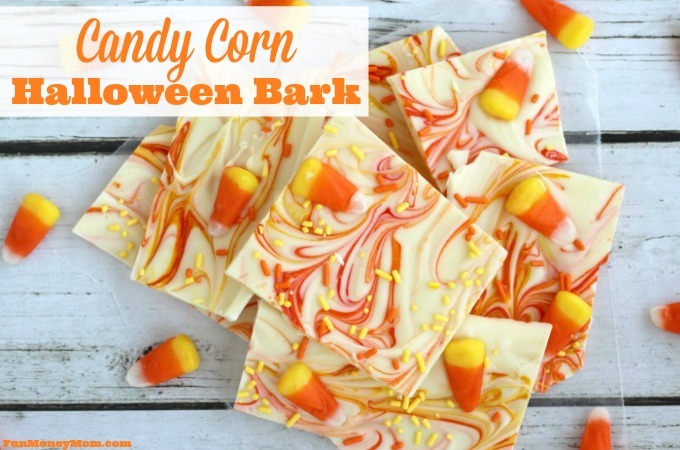 When you make a BOO kit, you want the good stuff! 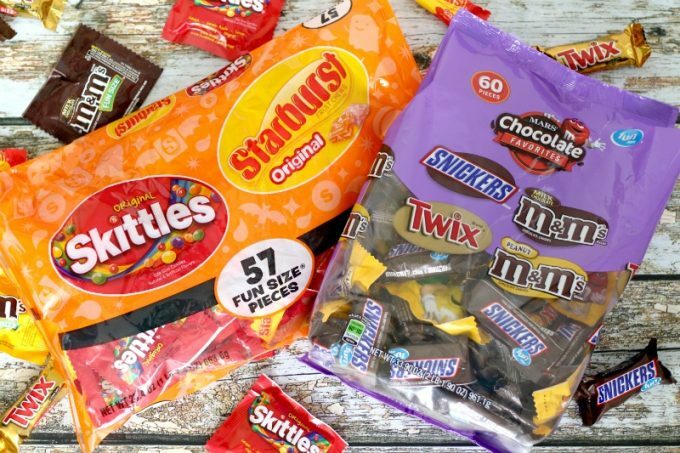 Remember how excited you were as a kid when you went trick-or-treating and the neighbor gave out handfuls of fun size M&M’s®, Snickers® or Starburst®? Those were always my favorite houses so that’s the kind of candy I like to give out now! I knew Walmart would have everything I needed for my BOO kit, including my favorite candy, so I grabbed the girls and headed out. 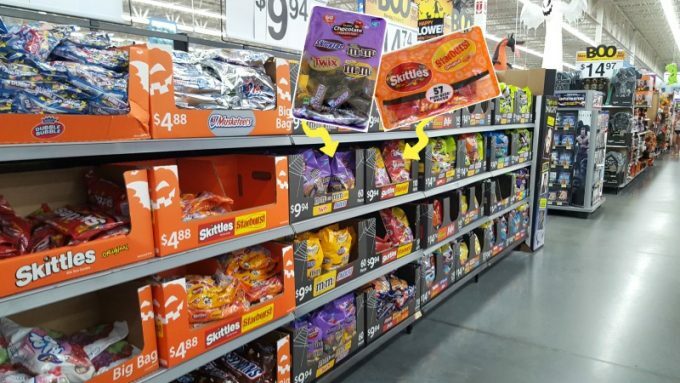 It couldn’t have been any easier to find the candy…it was the first thing we saw when we walked in. I also planned to include a yummy treat and needed an American Greetings® treat bag to put it in. 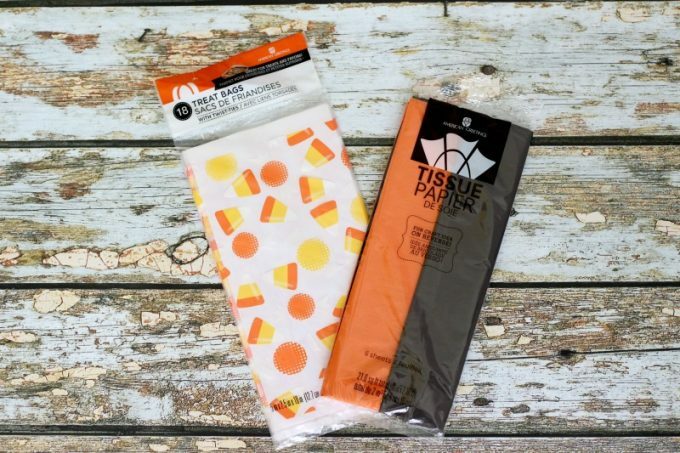 While I was at it, I picked up some American Greetings® tissue paper to add a little Halloween color to my kit. Now that I had everything, it was time to get started. 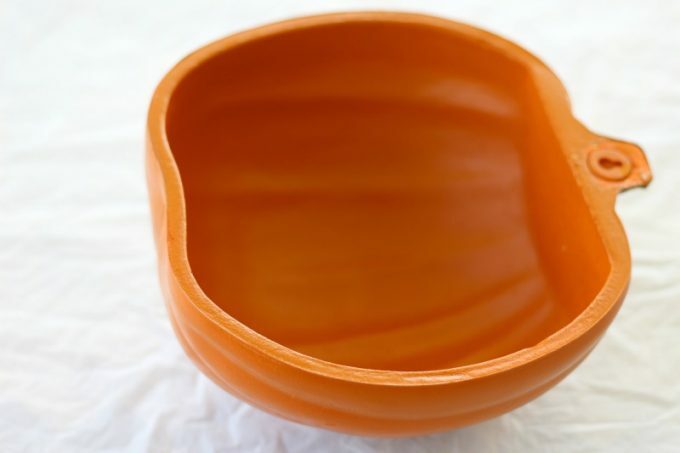 I’d bought this half pumpkin that was meant for hanging on a wall and while it worked great as decor, I thought it would make a perfect bowl too. I felt like it was a little plain though and I wanted to fix it up. 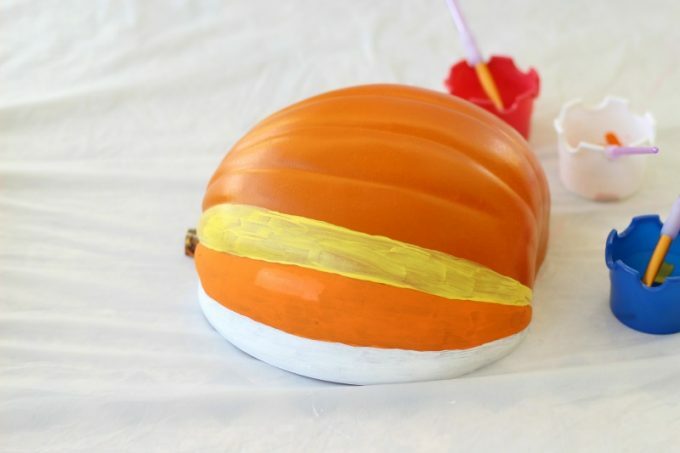 Last year I’d made a DIY Jack-o-Lantern with candy corn stripes and it turned out so cute that I decided to do the same thing with this one. My friend loves Halloween decor so I knew she’d enjoy something new to add to her collection. 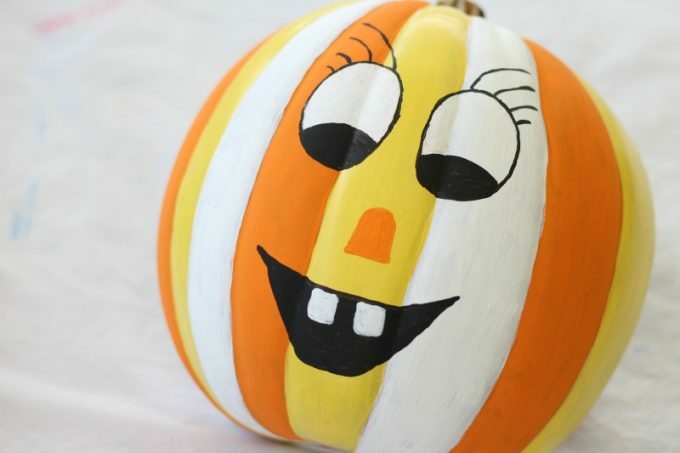 I found inexpensive acrylic paints in the Walmart craft section and used them to paint the stripes. 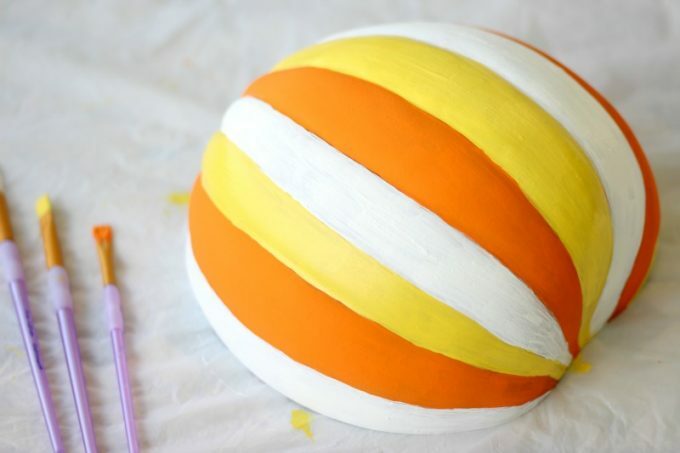 After painting the entire pumpkin, I went back and gave each stripe a second coat. 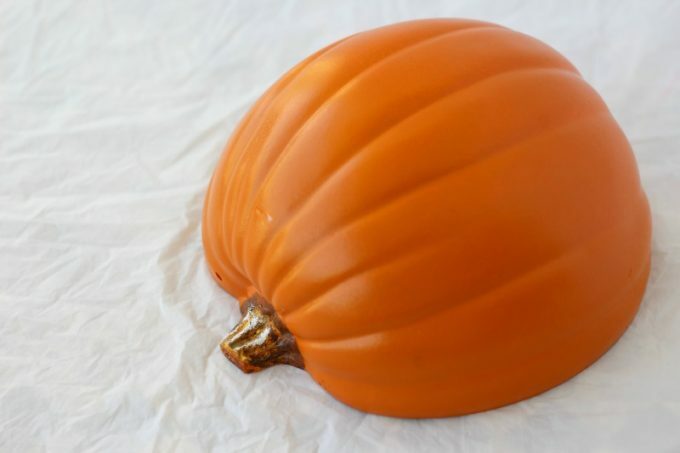 Once the second coat was dry, it was time to turn this pumpkin into a happy jack-o-lantern. I’d be happy too if I were about to be filled up with candy! 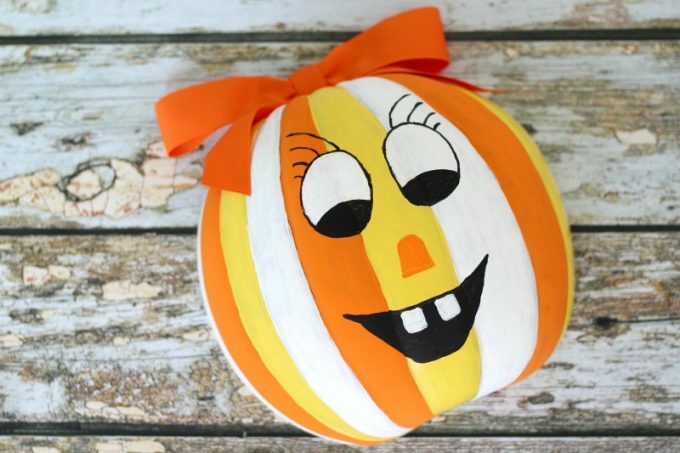 Since this jack-o-lantern was a girl, she needed a pretty bow to make her transformation complete! Now it was time to put together the actual BOO Kit. First things first, we needed our candy. Is it just me or is the smell from a newly opened bag of chocolate one of the best smells ever?! I also love that there were so many choices in one bag…M&M’s® Fun Size (regular and peanut), Snickers ® Fun Size and Twix® Fun Size. 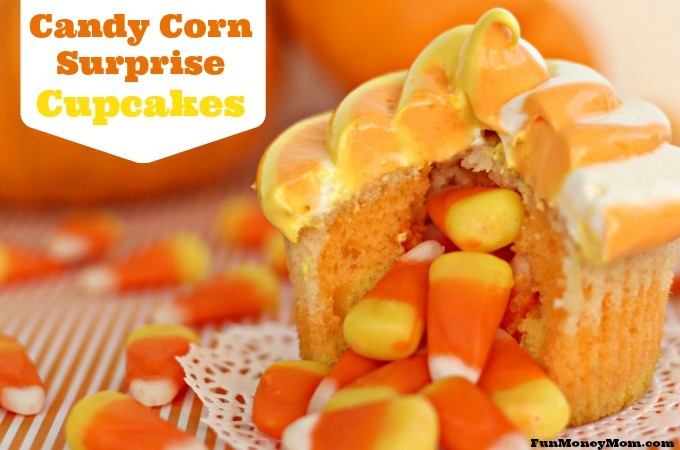 I threw in a little more variety with a big bag of Skittles® Original Fun Size and Starburst® Fun Size too. Of course I had to do a little taste testing first and I can assure you that all candies easily passed. Yes, I taste tested them all…I’ll do anything for you guys! While you can never go wrong with Mars candy, I also wanted to add a little homemade treat. 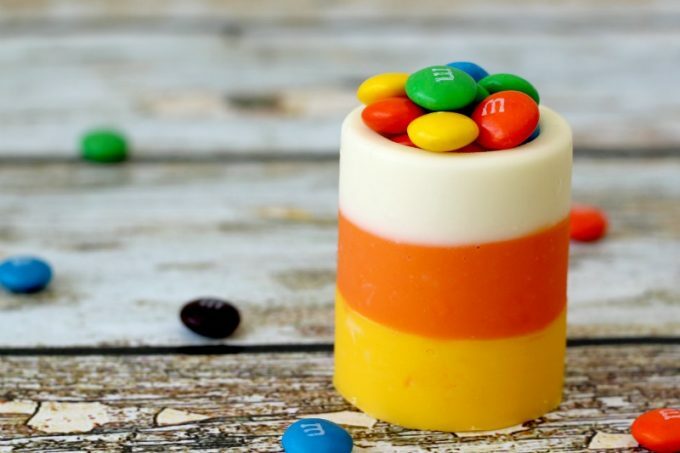 I made these cute edible candy cups and filled them with M&M’s® from the fun size bags. Don’t you think these treat bags are a perfect fit? Once it was in the bag, I surrounded it with even more M&M’s® (you can never have too many). 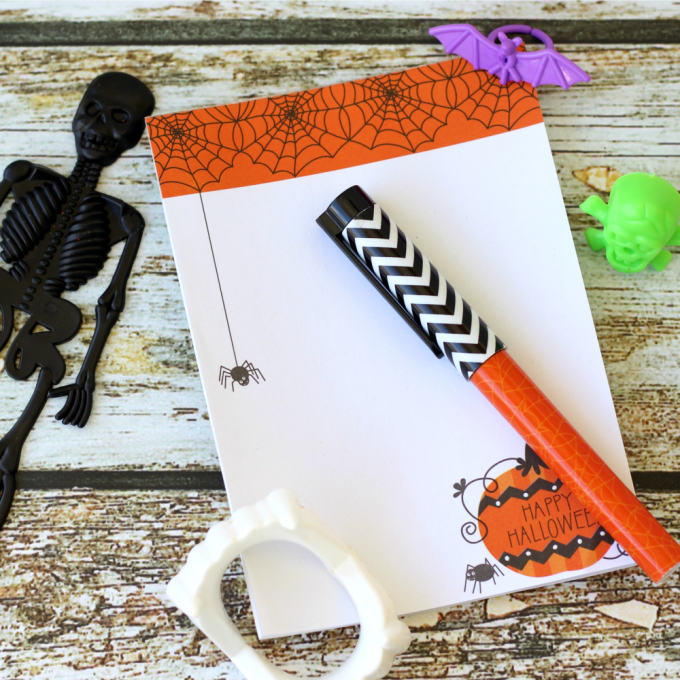 In addition to the candy and the homemade treat, I thought it would be fun to add some other Halloween related goodies like vampire teeth, bat rings and slime. Slime is always fun! I lined the bowl with tissue paper and filled it with all the candy and goodies. I also tucked in the new Ghostbusters® movie since it just became available in stores on October 11th. You have your choice of Blu-ray or DVD and it’s also available on VUDU. Finally, it was time to add the most important thing of all…okay, the candy is the most important but this is very close! I went to BOOItForward.com and printed this card so that my friend would know she’d been BOOed. It also includes directions for how she can BOO It Forward to someone else. My friend is going to love this and the bonus is that now she won’t have to steal candy from her kid’s trick-or-treat bag. Are you one of my Florida readers? 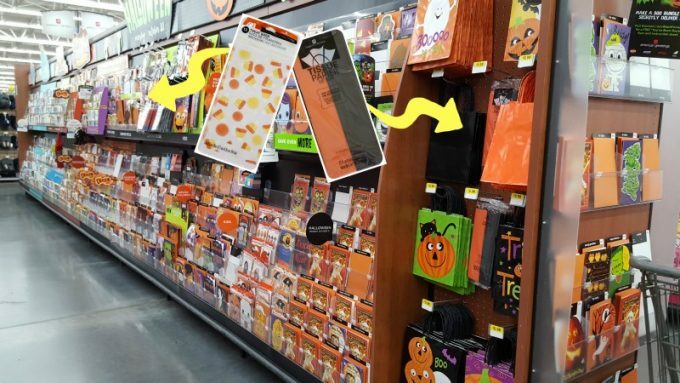 If so, there are some exciting BOO’ing retailtainment events coming to Walmart in select areas of Florida! 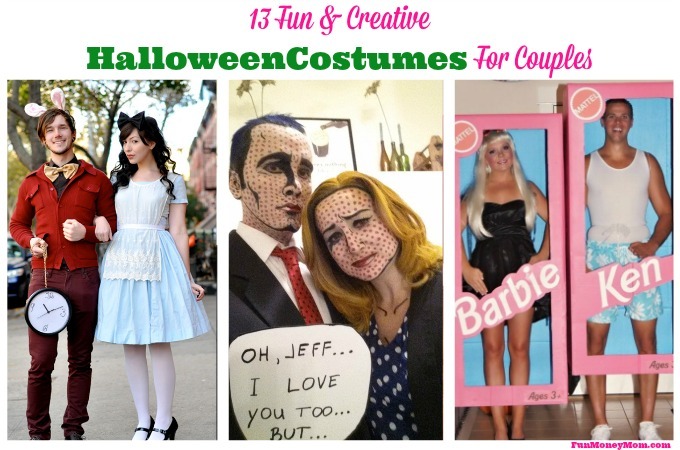 Check out this list to see if there is one near you! Who do you want to BOO this year? 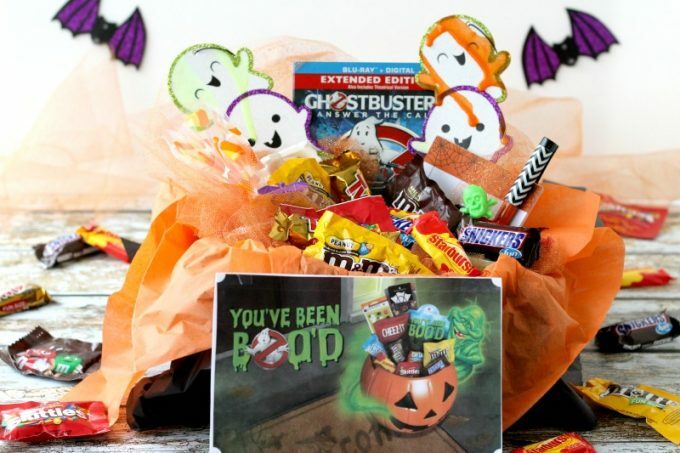 Don’t forget to visit Walmart.com to find everything you need to create your own BOOing kit! I’m loving this! I have a lack of artistic ability so I like now easy this is to put together. So fun. 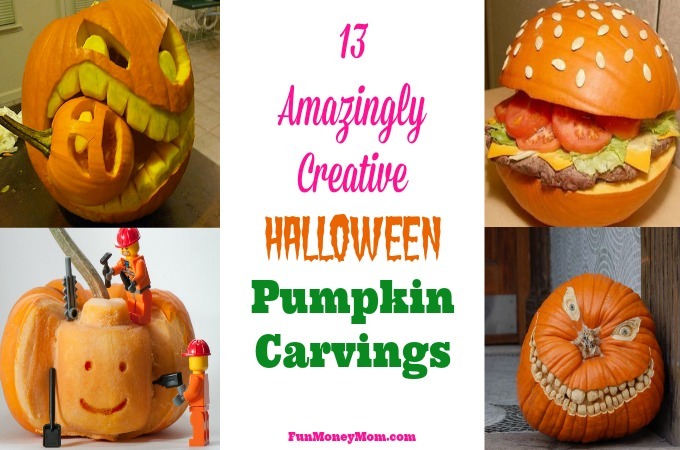 I may have to decorate a special treat bowl for our trick or treaters.